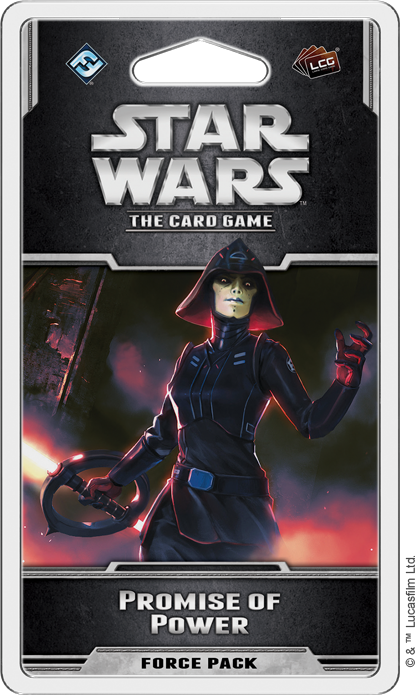 Fantasy Flight Games is proud to announce Promise of Power, the final Force Pack of the Alliances cycle for Star Wars™: The Card Game! 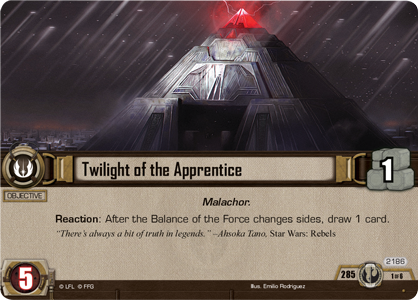 In addition to being the final Force Pack of the Alliances cycle, Promise of Power marks the completion of Star Wars: The Card Game. 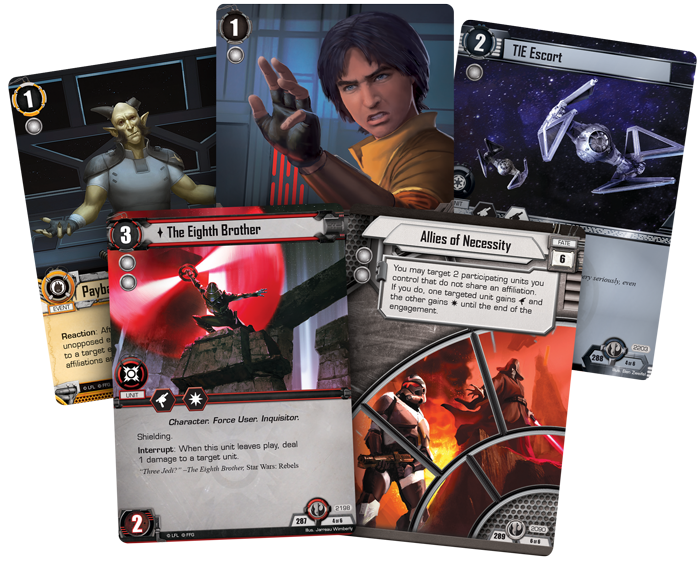 Over the past five years, Star Wars: The Card Game has seen five deluxe expansions and six cycles of Force Packs, ranging from the Battle of Hoth, through the pilots of the Rogue Squadron cycle, the forest battles of the Endor cycle, and the most recent changes of the Opposition and Alliances cycle. With the conclusion of the Alliances cycle, the game will be complete, and the Star Wars World Championships in May will be the final Organized Play World Championship for the game. You can pre-order Promise of Power at your local retailer or online through our webstore today! Then, read on for more information about what you can expect to find within the last Force Pack for Star Wars: The Card Game. As you’ve seen throughout the Star Wars saga, finding allies is usually helpful, giving characters a measure of strength and resolve they would not have otherwise possessed. Still, that’s not always the case, as we saw at the end of the second season of Star Wars Rebels. 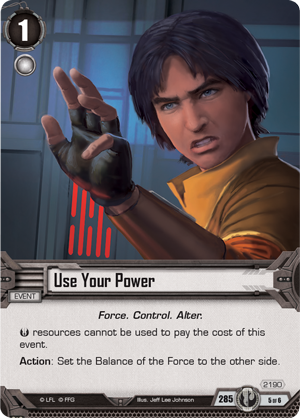 There, Ezra Bridger was drawn into a tumultuous struggle between the light and dark inside himself—a struggle aptly represented in the Jedi objective set from Promise of Power. You get a hint of the struggles to come with the objective of this set, Twilight of the Apprentice (Promise of Power, 2186). 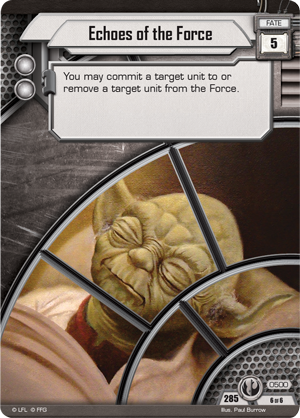 This objective simply reads, “Reaction: After the Balance of the Force changes sides, draw 1 card.” In most cases, the light side wants the Balance of the Force to remain with the light as much as possible. 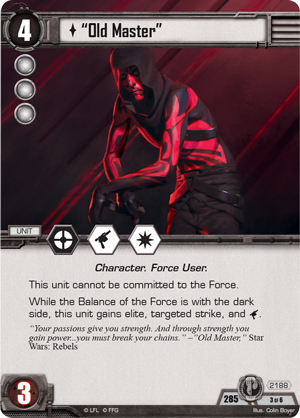 While that may still be true in a deck using Twilight of the Apprentice, you’ll also find plenty of rewards for having the Balance of the Force on the dark side in this objective set. To begin, you’ll discover a new copy of Ezra Bridger (Promise of Power, 2187). 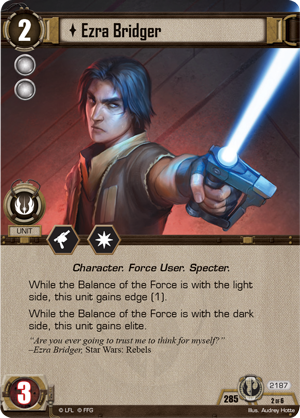 While the Balance of the Force lies with the light side, Ezra Bridger gains edge (1), and while it’s with the dark side, he gains elite. No matter which side controls the Force at any moment in the game, there’s a benefit for Ezra. 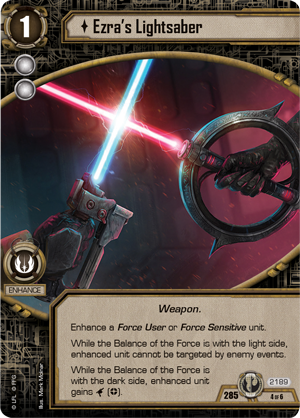 Similarly, you may equip any Force User or Force Sensitive unit with Ezra's Lightsaber (Promise of Power, 2189). While the Balance of the Force is with the light side, the enhanced unit can’t be targeted by enemy events—and while the Force is with the dark side, the enhanced unit gains additional combat icons! It’s easy to see that at certain points, you may wish to switch the Balance of the Force, if only to seize the Balance of the Force before your turn begins. The Echoes of the Force (Promise of Power, 500) fate card included in this set helps you manipulate the Force struggle, while Use Your Power (Promise of Power, 2190) simply allows you to set the Balance of the Force to the other side, potentially changing the fates of your characters or the outcome of the game in a moment. Still, there are certain units that much prefer the Balance of the Force to be set to one side in particular. "Old Master" (Promise of Power, 2188) may be much more than he appears—but his agenda is clear, at least in Star Wars: The Card Game. Though you cannot commit “Old Master” to the Force, whenever the Balance of the Force is with the dark side, the power of “Old Master” grows considerably. In most circumstances, the light side would prefer to hold the Force on its own side, but this objective set challenges you to adapt to the moment, and perhaps search for power in places where you would ordinarily never go. Are the alliances and friendships that surround you a boon to help in your darkest hour? Or are they chains that hold you down, stifling your true potential? Make your choice with Promise of Power, the final Force Pack for Star Wars: The Card Game! You can pre-order Promise of Power (SWC42) at your local retailer or online through our website, and look for Promise of Power to release in the second quarter of 2018.